Sharing Not Staring Whiteboard Activities for the English Classroom (incl CD) with Chris Warren. New edition Routledge 2013. 20 Things to do with a Word Processor ICT activities for KS3-4 (with Chris Warren); pub. 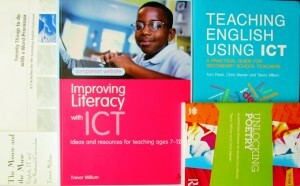 Resource Education (incl CD) via NATE (0114 255 5419) or online at www.nate.org.uk Still available and still with good ideas! 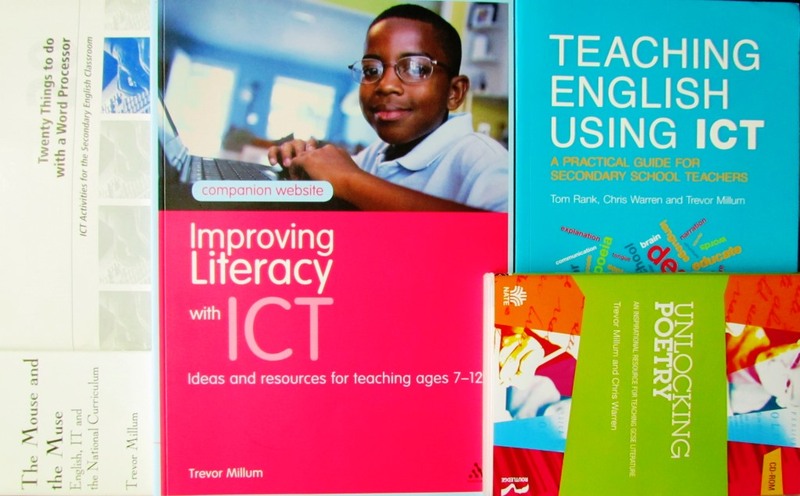 Interactive Literacy Using ICT to advance literacy skills, especially with less able children. pub. Barrington Stoke ISBN 1842993046; includes CD of resources. In the bottom corner of the picture you can see The Mouse and the Muse, the publication way back in 1991 which started my ICT and English writing career and began my liking for the title!